Probably the most anticipated car model in recent times the Tata H5X has been given its final production model name as the Harrier. Tata Motors had unveiled the H5X in concept form at the 2018 Auto Expo and had received an overwhelming response. Tata Motors plans to launch the Harrier in early 2019. The Tata Harrier is based on Jaguar Land Rover’s entry-level SUV platform called Omega-Arc (Optimal Modular Efficient Global Advanced Architecture), JLR models like the Land Rover Discovery Sport, Jaguar E-Pace and the Range Rover Evoque also share this platform along with the Harrier. 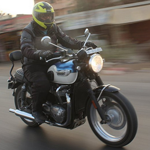 This will be the 1st model from Tata Motors to sport the ‘IMPACT Design 2.0’ philosophy. 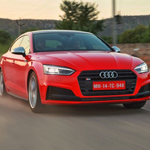 It will offer extraordinary exterior design, thoughtfully and intelligently designed plush interiors, future ready connectivity and best-in-class infotainment. The Tata Harrier in the H5X concept form looks extremely stylish with slim styled front grille and led headlights, well praportioned contoured side styling, sloping roofline and large wheel sizes is what we expect. Like the exteriors the interior will also be the best that a Tata car has ever seen with. Expect all the latest tech and safety features loaded to the Harrier. The Harrier will be powered by the Fiat Multijet II engine that also powers the Jeep Compass currently. There would be two engine tunes to choose from – 140PS and 170PS for the 5 and 7-seater versions. The Harrier would be available as a two and four-wheel drive versions alsong with 6-speed manual transmission and automatic option too. We expect the prices to start at around 11 lakh for the base versions of the Harrier. Tata Motors says they choose the model name Harrier which means “A dominant beast imbued with endless stamina and strength. Gifted with unwavering instinct. Effortlessly conquers every challenge thrown its way“. 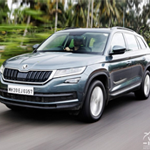 Announcing the name of this much-anticipated SUV, Mr. Mayank Pareek – President, Passenger Vehicle Business Unit, Tata Motors said – “With Turnaround 2.0 into play, we are geared to win sustainably in the market. 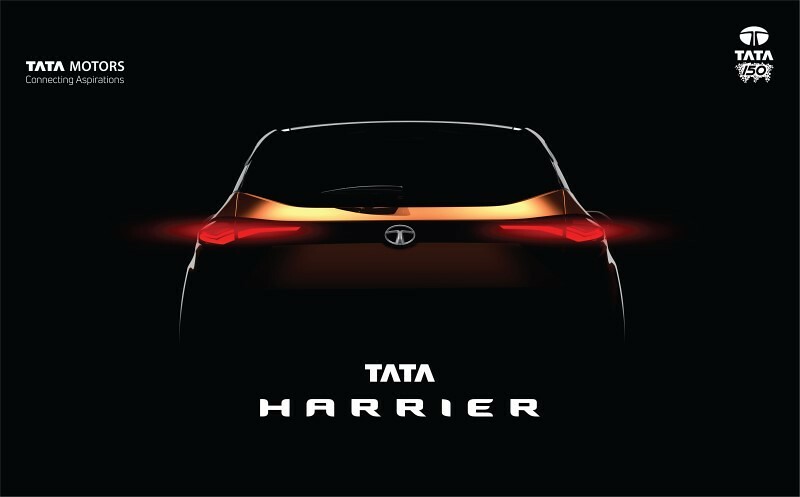 We are proudly speeding towards our next market introduction – ‘Tata Harrier’, yet another game changer, to offer our customers a product, that is not only exciting but that which will take our brand value to the next level. With legendary pedigree running through its veins, ‘Tata Harrier’ promises to shatter all current benchmarks and pave entirely new standards for SUVs in India. This is in line with our well-defined go-to-market strategy. 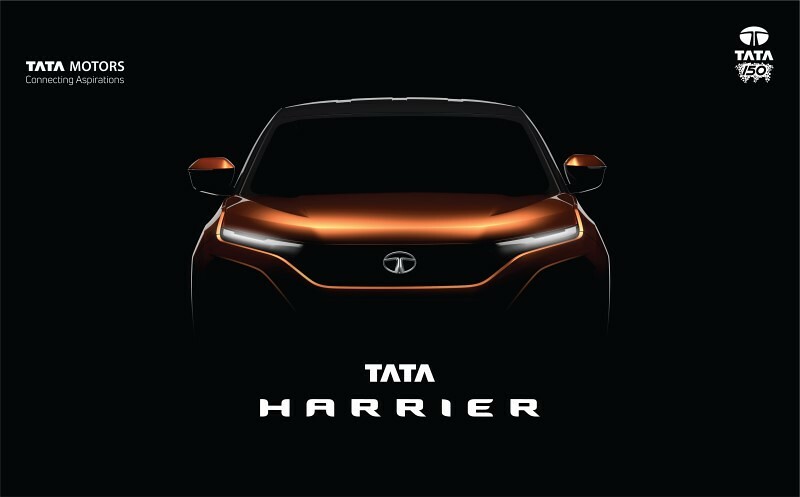 We are excited to introduce the ‘Tata Harrier’ to our customers and are gearing up for the commercial launch in the first quarter of 2019.”The Tata Harrier will take on the Hyundai Creta, Jeep Compass along with the Renault Duster, Nissan Terrano Mahindra XUV 5OO when launched in early 2019.